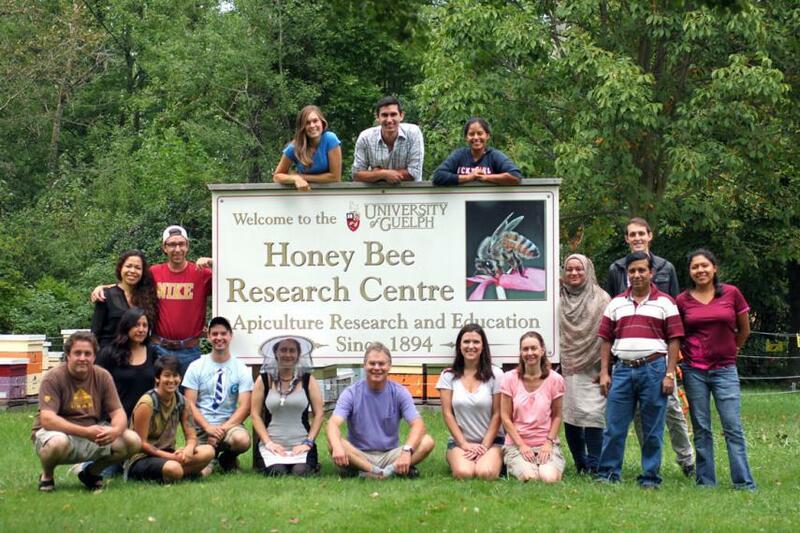 The Honey Bee Research Centre (HBRC) and Guelph Centre for Urban Organic Farming (GCUOF) are pleased to announce a site integration that will co-locate both centres. The HBRC, currently located in Townsend House on Stone Road E., will be relocated to the site adjacent to the GCUOF on College Avenue East. The two separate centres will occupy the one-hectare site bordered by the Arboretum. “Integrating the pollination services of our Honey Bee Research Centre with our organic farm makes a ton of sense and will be a win-win for both groups,” says Rene Van Acker, dean of the Ontario Agricultural College. The fundraising for and relocation of the HBRC was approved by the Physical Resources and Property Committee of the Board of Governors on Nov. 29, 2018. An international design competition will be launched in January 2019 to design the new facility. The new HBRC will include a large ~100 hive apiary, public indoor and outdoor areas with interactive education spaces, classroom and event space, a café or restaurant, a gift and book shop, office space, gardens and parking. Fundraising is underway for the $10 million project. The new HBRC is set to open in later summer 2021. More information on the relocation is available here, including an FAQ.